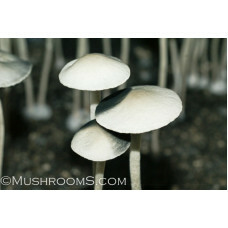 Our mushroom spore syringes are loaded with hundreds of thousands of spores. 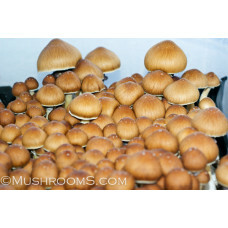 You will see clumps of spore groups of tens of thousands of spores. 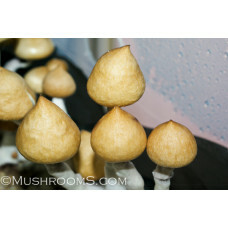 This is rare in this industry as so many spore vendors sell cheap, clear syringes with hardly any spores in them. 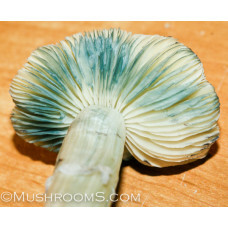 A single spore is too small to see with the eyes and 600X magnification is needed to see an actual spore. 1000X is best. 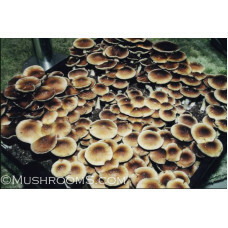 For every black dot you can see that is cluster of thousands of spores. 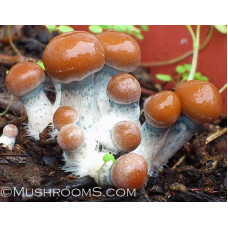 More are spread through the solution besides the black clumps. 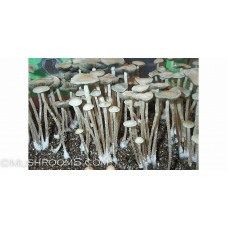 Mushrooms.com does not sell "cheap" syringes with hardly any spores as they cause to many problems. 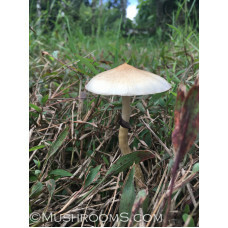 One of our spore syringes usually has more spores in it then 4-8 spore syringes of most other vendors, for only a few dollars more. It's kind of a no brainer. 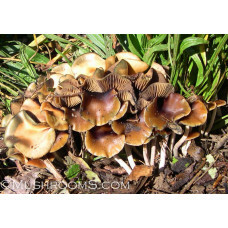 Take a risk and buy spore syringes with hardly any spores in them and risk wasting time, money and lots of work just to save a few bucks, or pay a little extra and buy high quality to begin with. You get what you pay for. We like to give our customers their money's worth. 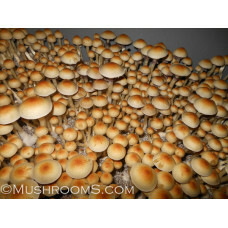 If you look at the image, this is a general guideline of what some of our spores syringes look like. 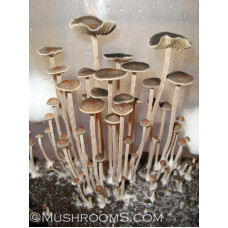 Some batches of spore syringes will have less spores, some will have more spores. 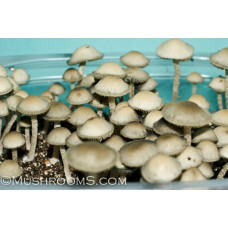 Only a few strains that are small capped or are light spore depositors we have no choice but to use less spores in those syringe. 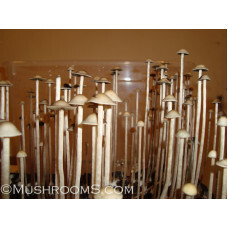 If we made them look like our cubensis syringes we would have to charge double the price. 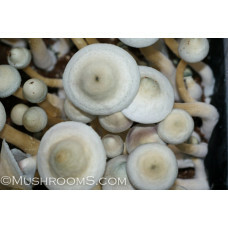 Even our spore syringes from light spore dropping varieties will still have tens of thousands of highly active spores in them. 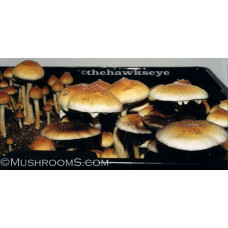 Some small capped or light spore dropping varieties are the mexicana varieties, semilanceatas, panaeolus, and the PE cubensis. 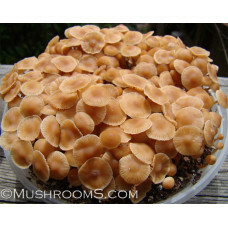 We use our proprietary solution to help preserve the spores and extend their life. 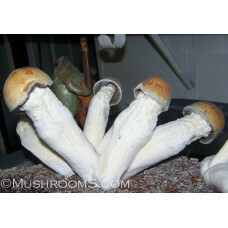 Spore syringes can be stored at room temperature for many months or even years without problems. 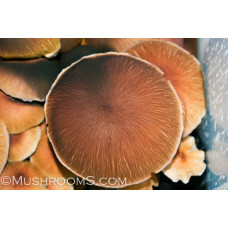 For long term storage sealing them and storing in the refrigerator is best as they can last for several years this way. 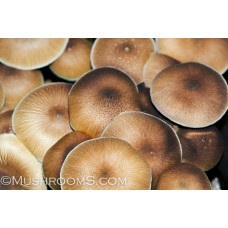 We do offer a 60 day guarantee on all our spores. 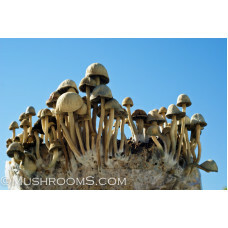 All our batches are thoroughly examined under a microscope for bacteria and mold before we spend all the work and money making spores syringes so it's not a waste of time or money for you or us. We use a high quality BD 10CC syringe, usually filled to 11cc's. 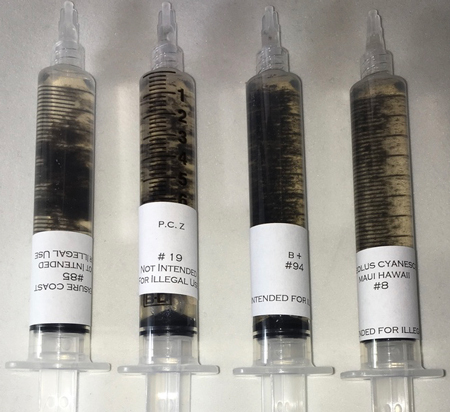 BD's can be sterilized and reused again many times over. They come with a 1.5" 16 gauge needle. The needles come factory wrapped and sterile.